Daddy Cakes Bakery was founded in 2015 by Rudy and Angi Burns and is a change in name for the bakery side of our business, Babette’s Feast Catering. Daddy Cakes Bakery is focused on provided fresh, quality cakes that are delicious and beautifully designed. We will also be focusing on providing more bakery treats and options that will be provided at retail to our growing customer base. 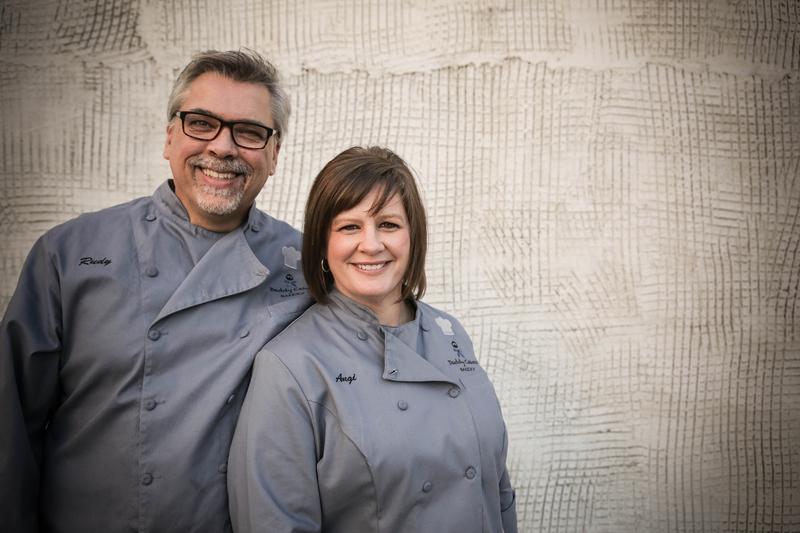 Rudy and Angi moved to Colorado from Arkansas in 2011 and purchased the ongoing business, Babette’s Feast Catering. After three short years in business, Babette’s Feast was a finalist for the Small Business of the Year Award by the Fort Collins Chamber of Commerce, as well as being a showcase small business for the Larimer County Small Business Development Center. We have won consumer awards and have had our cakes published on multiple platforms and publications, including Bon Appetite Magazine Online and A Colorado Mountain Wedding. Daddy Cakes Bakery is a locally owned small business. By purchasing from us, you participate in supporting small business in your community and help improve the local economy. We constantly strive for success and customer satisfaction. We appreciate your choice to do business with us and will strive to make your order a success every time.